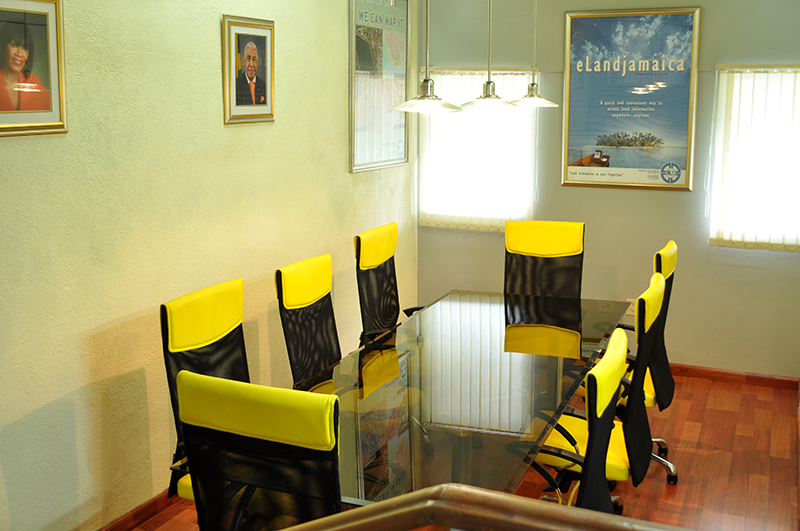 CONFERENCE ROOM, NATIONAL LAND AGENCY | Montego Bay, St. James Proper lighting to any space is important. 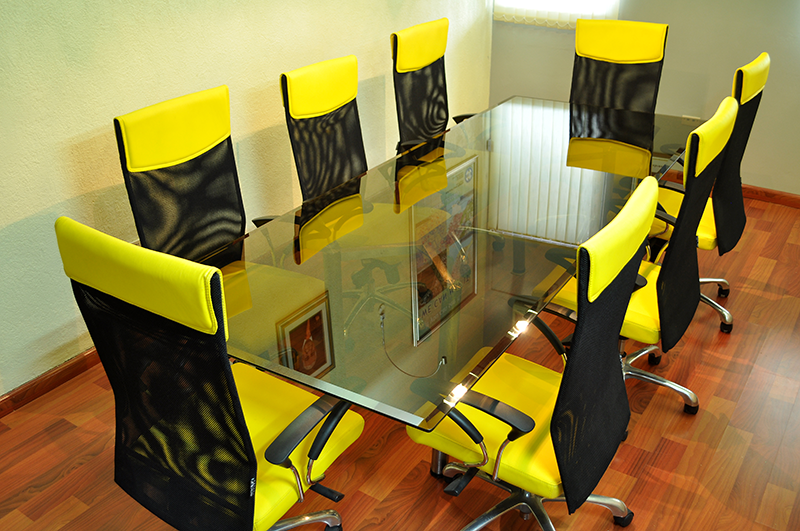 It is essential in a conference room that entertains discussions to multi-media presentations. 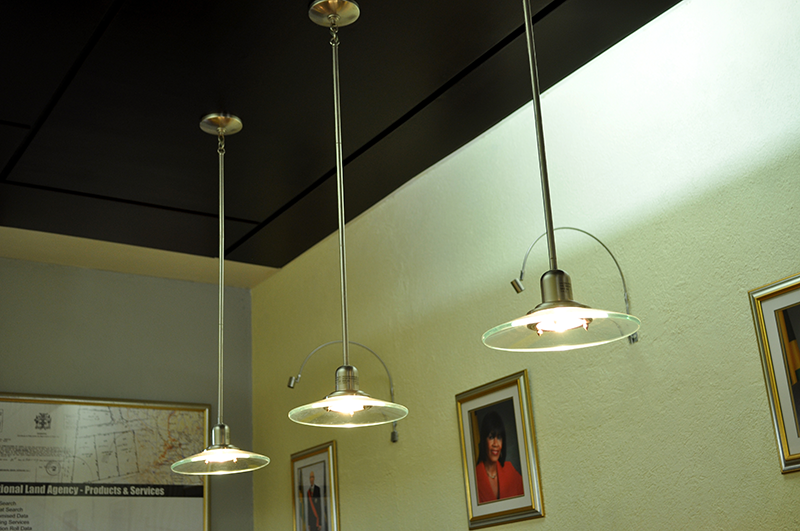 The hanging pendants here provide direct task lighting to the conference table for reading and note taking. CONFERENCE ROOM, NATIONAL LAND AGENCY | Montego Bay, St. James By working with lightweight ergonomic chairs the illusion of more space in a small conference room is accomplished. The modern furniture also mirrors the agency’s advancements in procedures and technology while grounding its foundation on more traditional wooden floors. CONFERENCE ROOM, NATIONAL LAND AGENCY | Montego Bay, St. James The one inch thick beveled glass and Stainless Steel Conference table is my own design. The mesh back chairs are particularly suited to warmer temperatures of the tropics, allowing the skin to breathe. 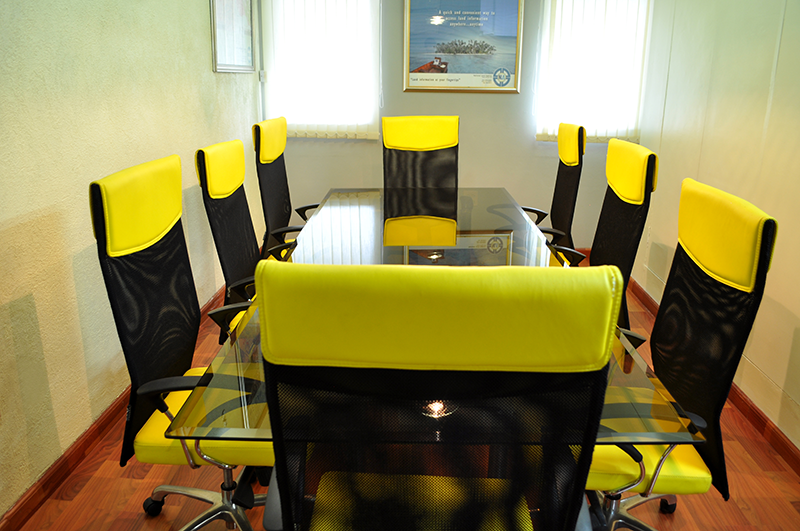 The color scheme here was based on the colors of the Agency. CONFERENCE ROOM, NATIONAL LAND AGENCY | Montego Bay, St. James The lower rich wood ceiling was designed by us. They house and conceal the room’s general lighting. 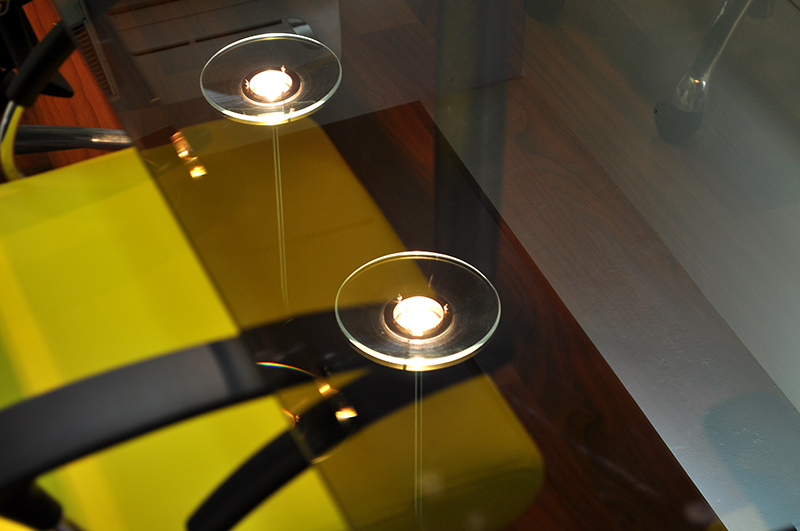 The general lighting is thus diffused, soft and even without hot spots or harsh shadows on the work surfaces. A wall niche provides a coffee/beverage service station. CONFERENCE ROOM, NATIONAL LAND AGENCY | Montego Bay, St. James Unfortunately Jamaicans have become accustomed to poor quality interior spaces in most governmental environments. The challenge here was to work with public funds while accomplishing a more modern, progressive friendly and stately public service environment.